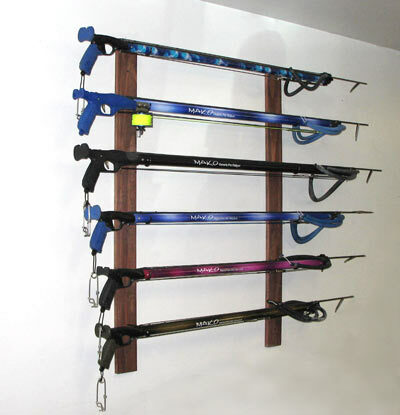 Proudly display your spearguns with our easy to install Speargun Rack/Wall hooks. 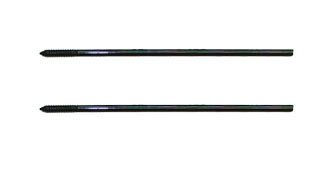 The unique U shape design securely holds your spearguns 3 inches from the wall allowing for the width of your bands so the spearguns do not fall over as they do with straight pegs. 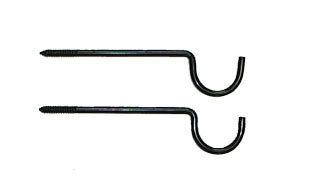 For displaying multiple spearguns, these speargun hooks work great when multiple hooks are screwed into a single piece of 1x3, thus eliminating the need for multiple holes in your wall. Sold by the pair, you can choose from 3 different configurations to accommodate railguns, wood spearguns and hybrid spearguns. 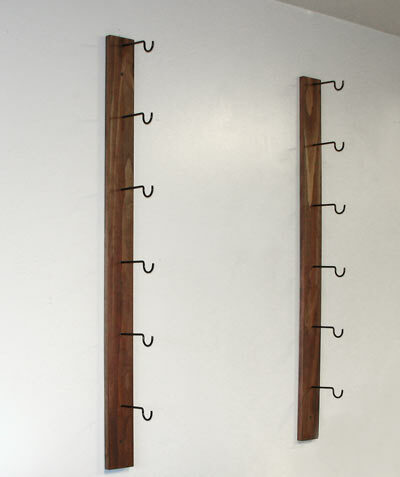 For displaying wood spearguns and hybrid spearguns some bending is required for your desired custom shape. 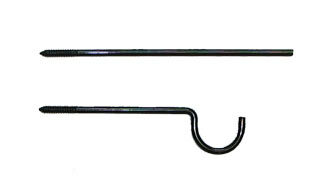 Bought these to move my guns from the corner to the wall. They work perfect and hold both my wood guns and tubes perfectly.